What is a commercial EPC? 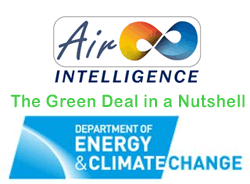 From April 2008 all newly constructed non-dwellings will require an commercial Energy Performance Certificate and existing buildings with a floor area over 500m2 will require an EPC when sold or rented. The certificate will include an energy rating, as well as advice on how to make cost effective improvements to the building to make it more energy efficient. In our view, many organisations still treat EPCs as a rubber stamp exercise, rather than a meaningful mechanism to improve energy efficiency and environmental credentials, and in doing so save on utility costs. What’s involved with an assessment? This information is then fed into SBEM which stands for Simplified Building Energy Model. It is a piece of design software which is used to calculate the energy efficiency of the building. Your Commercial EPC will include a detailed analysis of the building’s energy efficiency, resulting in a final Energy Efficiency Rating between A and G, G being the most efficient. 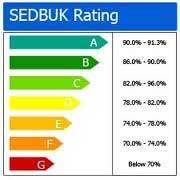 The certificate gives a current rating for the building plus an example of a new building and existing building of the same type and what rating they would expect to achieve. Along with the current rating the report also produces a recommendation report listing changes to the property that would enhance its current rating. When is commercial EPC required? How long is a commercial EPC valid for? Commercial EPCS are carried out when the property is to be sold or let. It will be valid for 10 years; unless there is work carried out that alters the thermal dynamics of the property like changing the boiler from a non-condensing to a condensing boiler or installing double glazing. 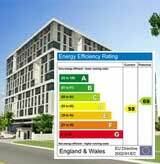 An updated or new EPC would then be required. What is the fine for not having one? The fine for non-compliance is 12.5% of the rateable value of the property, subject to a minimum of £500 and maximum of £5,000. (Rateable Values are increasing as part of the Revised Rating List effective from 1st April 2010). This fine can be repeated every 7 days until an EPC is produced. In addition to the fact that the landlord/Vendor can be fined for the emission of the EPC, as agents now also are liable for a fine under this directive (EPBD) if you send literature/marketing material on a property that does not have an EPC.